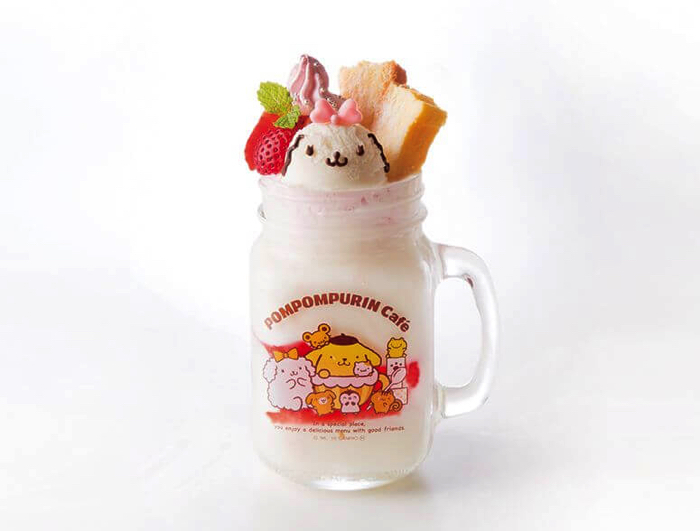 The Nagoya branch of the Pompompurin Café themed on Sanrio’s popular character is teaming up with Gudetama to release a themed collaborative menu on April 17. Everybody’s favourite egg Gudetama, whose lack of motivation is ever increasing, is celebrating his 5th birthday this year. 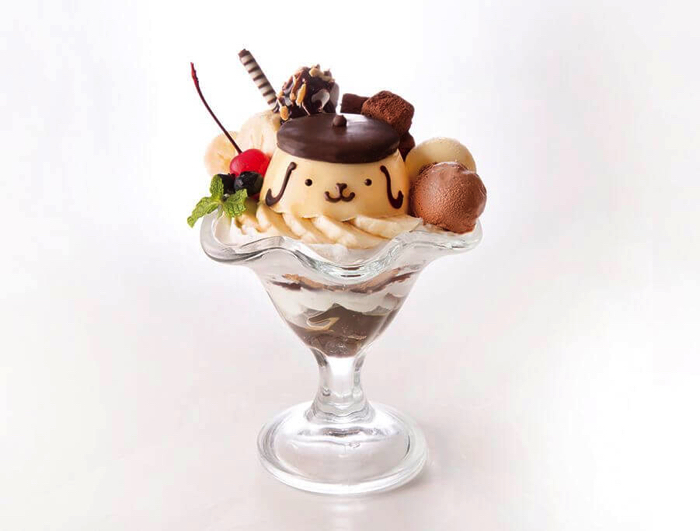 Continuing from the collaboration with the Yokohama branch of the café, Gudetama is now lazily making his way to Pompompurin Café Nagoya! 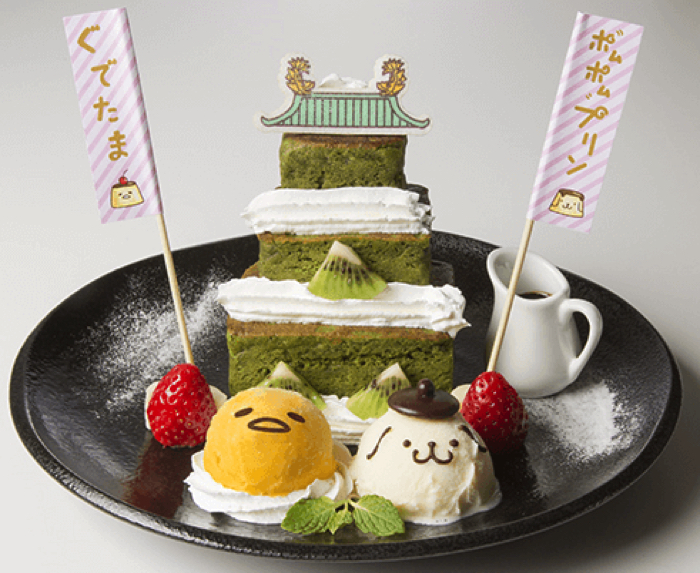 Feast to your heart’s content on from a cute menu inspired by Pompompurin and Gudetama. You won’t be able to try this anywhere else. This three-layer matcha pancake is decorated with whipped cream and fruit. We also have a Gudetama made from mango flavoured sherbet and a vanilla ice cream Purin-kun who have come to see the castle attraction. 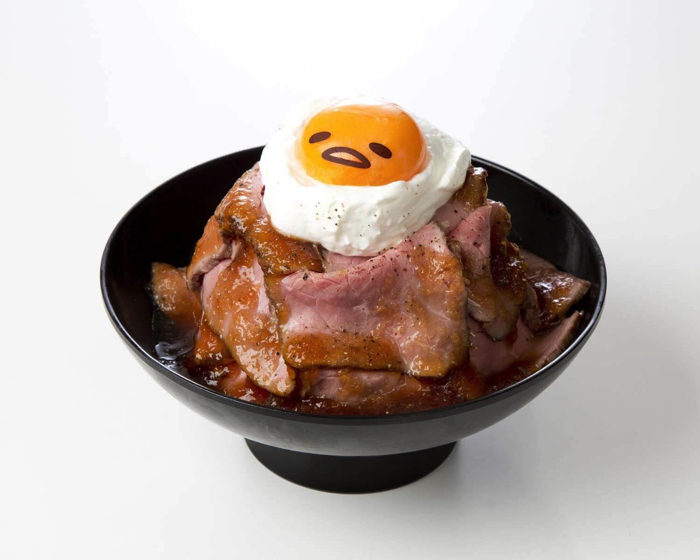 Gudetama has taken on the form of a busho military commander. 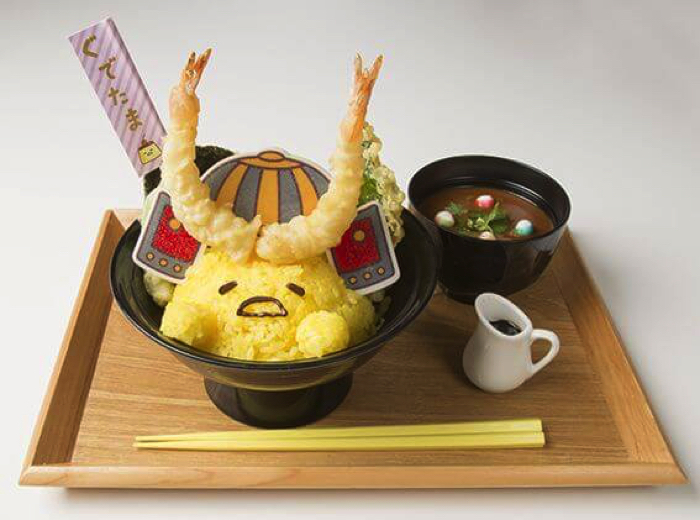 His face is made of yellow rice and he’s wearing a helmet made from shrimp tempura and wafer. He’s ready for war but he’s just too lazy to head into battle. Customers who dine at the café will also receive an original postcard as thanks. 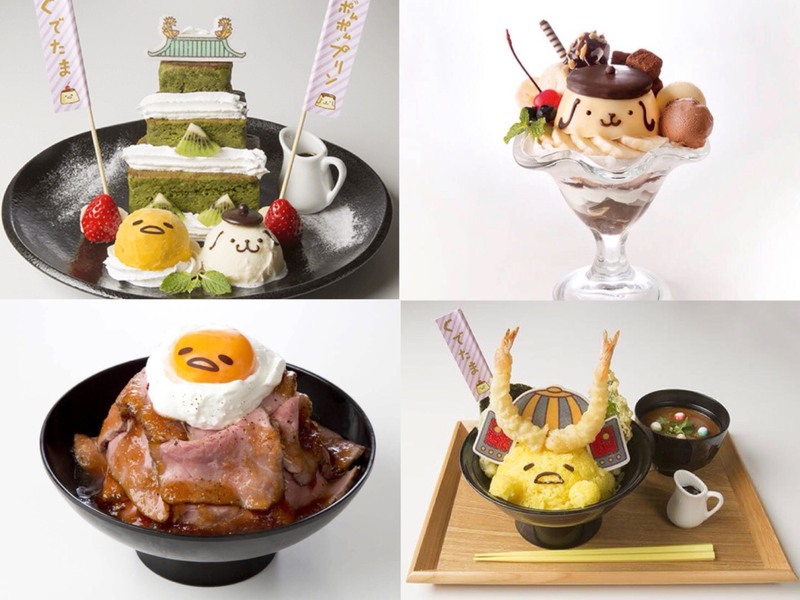 If you love either Pompompurin or Gudetama then be sure to visit!